As we gear up for the holiday season our chef shares his favourite recipe which is sure to bring holiday cheer. Mahua can easily be called as central India’s Tree of Life. The tree due to its multiple usages is considered a boon by the tribals who keenly conserve this tree. The flowers are edible and are often used in a variety of local dishes, quite different from what our chef has created. For anyone with a sweet tooth, this cake is a perfect complement to your afternoon tea. Preparation time: 15 minutes. Preheat oven to 175-200c. Beat soft butter and sugar till its mixed well. Add eggs and beat once again. While stirring the batter slowly, add flour and milk. Now add baking powder. 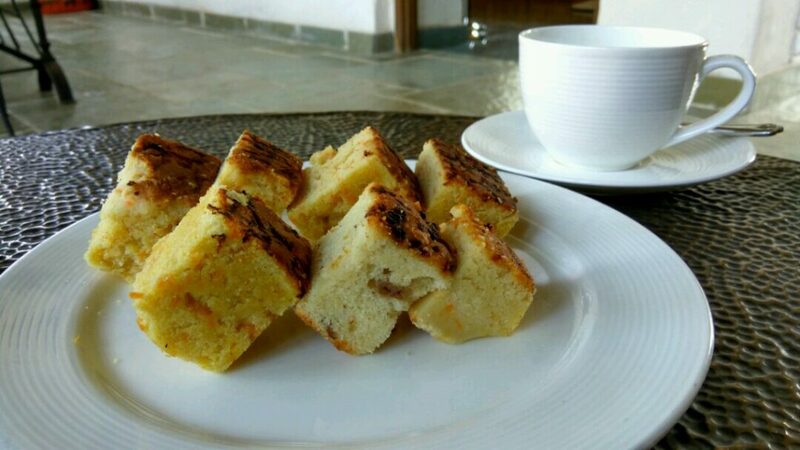 Sprinkle Mahua flowers in the batter and fold gently into the batter. Do not beat. Grease the baking pan with butter & pour batter. Bake in a preheated oven for 40-45 minutes or until the toothpick inserted into the cake comes out clean. Take the cake out of the oven and let it cool for 15 minutes before removing. Cut it and serve with the evening tea or a post meal dessert. Posted on December 17, 2016 by pugdundee blog. 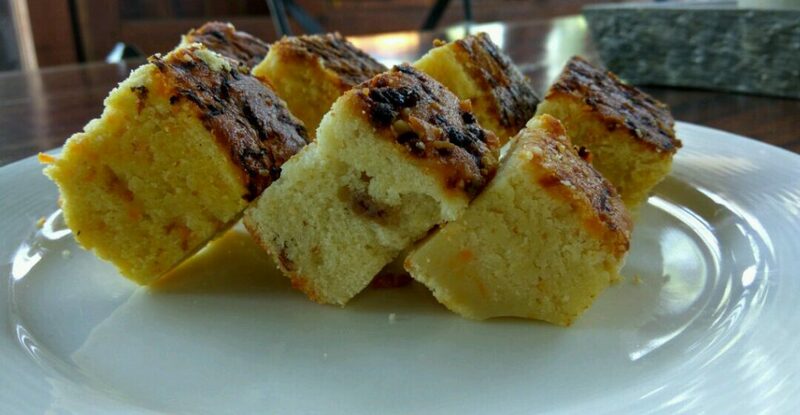 This entry was posted in Food, Recipe and tagged how to make mahua cake, local food in pench, mahua cake, mahua cake recipe, Mahua flowers, sweet dish. Bookmark the permalink.